You’ll see plenty of signs reminding you about being ‘CROCWISE’ in the Northern Territory, but ultimately it’s up to you to be smart about it. You should assume that any area of water in the Top End may contain large and potentially dangerous crocodiles. We want you to come and visit the store again, so it’s in your interest and ours that you keep alert! 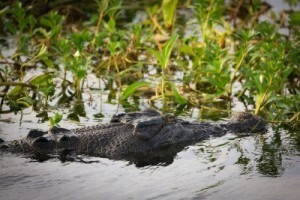 Crocodiles are common in our waterways. Crocodiles are dangerous and attacks can be fatal. People live and participate in recreational activities in or near waterways where crocodiles live, bringing people and crocodiles closer together. Crocodiles move around throughout the year. 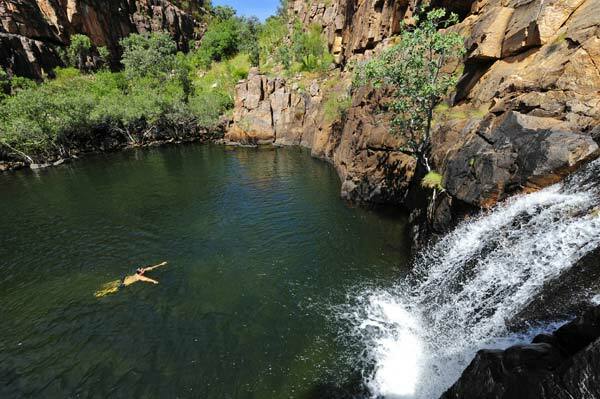 You need to be cautious every time you go near or in a waterway in the Top End. Only swim in safe designated areas – if there is no safe swimming sign, do not swim. Always obey warning signs, they are there for your protection. Don’t feed, harass or encourage crocodiles. Avoid the waters edge wherever possible. Don’t paddle, clean fish, prepare food or wash at the waters edge. Stand at least 5 metres back from the waters edge when fishing. Don’t hang arms or legs out of a boat when on the water. Don’t dispose of food scraps and fish offal in the water, use bins or bury at least 2 metres from the waters edge. Stay away from crocodile slide marks and nest mounds. Be extra vigilant at night. Check out areas for safe swimming.